Super Bowl has long been considered the highest, holiest day for creatives. Let's see what our own creatives have to say. Super Bowl has long been considered the highest, holiest day for creatives. The ads are arguably the biggest draw for the game — well, at least that’s how we see it. With the big holiday upon us, we decided to poll our creative team. 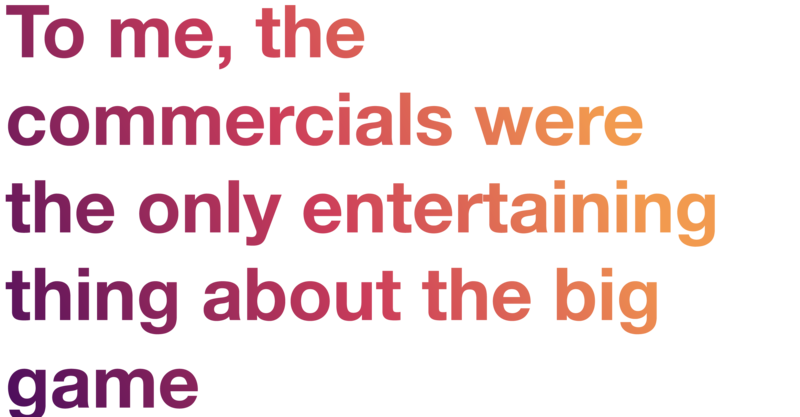 First up, we wanted to hear what, as a creative, the Super Bowl means to them. Second, we talk digital. 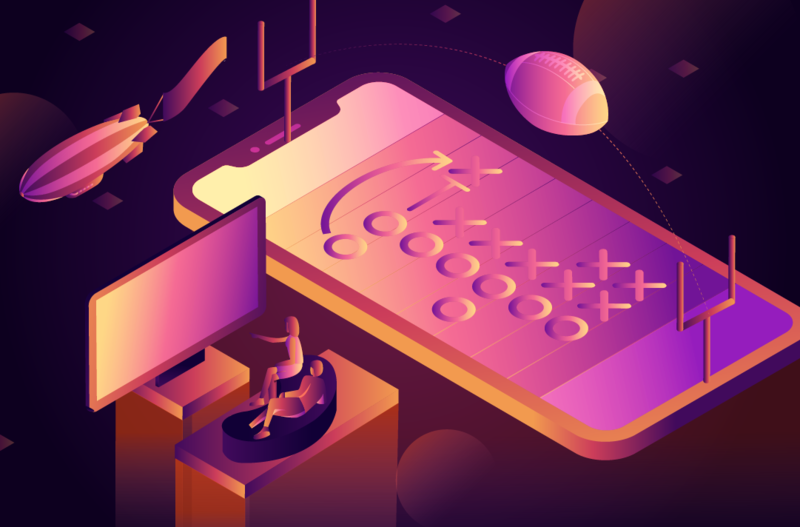 Digital has been transforming the traditional ‘spot’ and the creativity around the game for years, so, what does our team think about the transformation of Super Bowl ‘ads’? As a growing leader on my creative team and, moreover, a mother, I watch with different eyes. I pay attention to those “great ideas” in a way I didn’t before. Whose story are they telling? Whose are they leaving behind? On such a large platform, what good are they doing? I watch with a much more critical eye. I dream, still, of being able to create an idea that will reach so many. Now, less for the glory of it all and more for the hope it could bring some light, create some change, spur some history. I know now, too, that the reward of shouting “that was mine!” is no longer something I value like I used to – but the bean dip is still totally worth showing up for. I’m not sure we’ve really seen a digital transformation around the Super Bowl ads themselves. Oreos had some success on Twitter a few years ago during the game, but their conversation wasn’t really connected to a spot, so much as the stuff happening around the game and in the stadium. Most people have their phones within arm’s reach while watching the game so, I guess, it’s possible. But, so far, I haven’t really seen a digitally transformative spot. Maybe we’ll see one this year, but I have to wonder if people really want to do much more than retweet or comment on stuff when there’s all that guacamole on the table. But, anyway, at the time I had the sort of wry Creative Director anyone who’s ever studied advertising would hope for. And, during the week I worked on that line, whenever someone came up to my desk to ask me for something, my boss would yell from his office, “Oh, don’t mind Phil. He’s not doing anything important. Only working on an ad FOR THE SUPER BOWL.” Using his Adam Sandler from “The Wedding Singer” impression, I might add. I must admit, I kind of dislike the hype around Super Bowl ads. Everyone comes into work the next day and is overly critical. We all act like we could have done something better. But, I do love the nostalgia of it. When the Super Bowl comes, I remember my first boss, smile and remind myself not to take myself too seriously. Good creative to me, is bigger than TV. It’s bigger than digital. 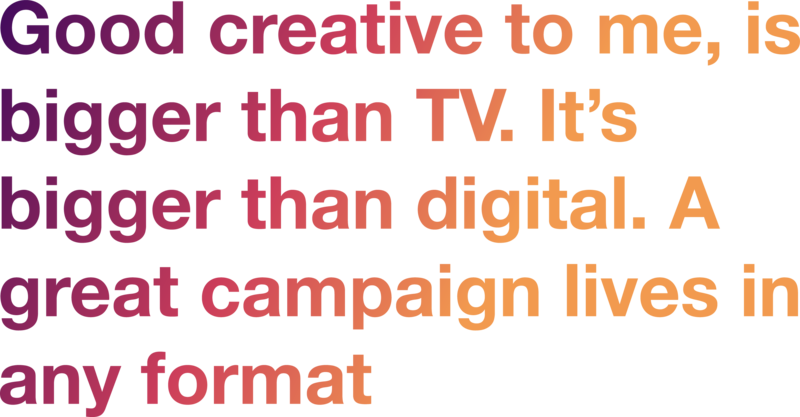 A great campaign lives in any format. So, even though the medium has changed, and Super Bowl ads have a longer shelf life on social media, the truth remains the same: spending $5 million on a Super Bowl ad is a waste if it doesn’t directly correlate to growth of the business. And, trending on social doesn’t mean people are buying the product. So, while advancements in digital have made the Super Bowl landscape more competitive, my perspective hasn’t changed that much. The goal is still creating content that brings in new customers. Ah yes, Sportsball time. Since I’ve only ever worked at startups, the idea of creating a Super Bowl commercial was never truly in my viewport. I figured you needed to either know someone, be ‘in’ on some an elaborate handshake or discover a secret bookshelf and pull a first edition copy of “Confessions Of An Ad Man” that opens a door into the ivory tower to one of those unobtainable creative powerhouses where Super Bowl Commercials are made. An overwhelming amount of cheese-covered finger foods that I will undoubtedly regret eating tomorrow. Coolers filled with an unlimited amount of Bud Light. Commercials. But, more importantly, the banter that happens before, during, and the day after they air. Tim Bady, no Don Brady, no, wait wait…Tom Brady, is great and everything, but how great is that Volkswagen commercial with the Darth Vader kid?! Or even better, the unforgiving play-by-play live Twitter feed of bad jokes and angry art directors poking fun at the commercials. And god forbid you get on the “Worst Super Bowl Commercials” list the day after. Yeesh. 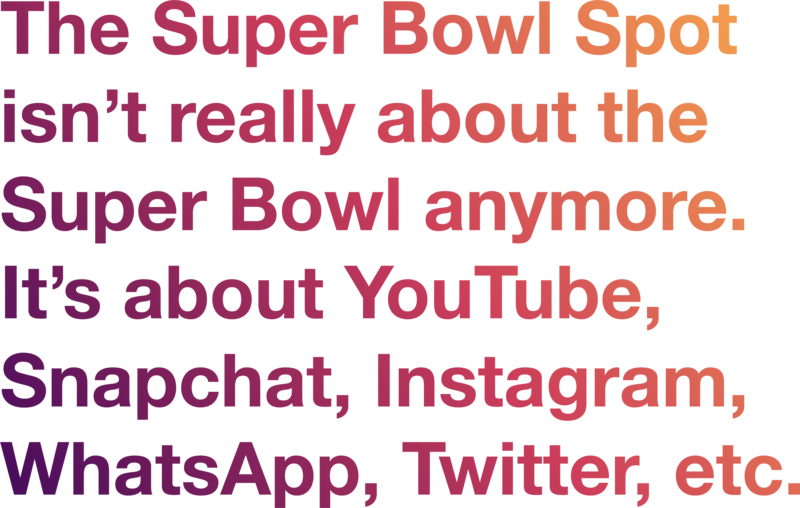 I think the digital transformation of the Super Bowl commercial isn’t necessarily the commercials themselves, but the aftershock – the meme trends, YouTube spoof videos, and happenings on social media. On Sunday (it happens on Sunday, right? ), I’ll be on the couch, eating tater tots, sipping Bud Light, and watching Twitter go nuts over a Jeff Bridges and SJP mashup. When I was getting into the industry (2005), YouTube was about to launch. It would be a few years before it totally transformed video as we know it. Same with social media—we were on the cusp, but everything was very traditional. You waited to see what brands showed up and went big, and it was a huge event. 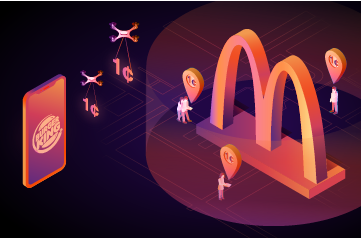 Now, brands tease out celebrity cameos and concepts, and sometimes reveal the whole thing on social media to build buzz. It’s been fascinating to see how it’s transformed the way campaigns can roll out and keep brands top of mind for longer. However, I really do miss the surprise of seeing all the new ads, with no prior knowledge, as the game happens. To my point above, digital has made Super Bowl advertising much more than just the spot itself. 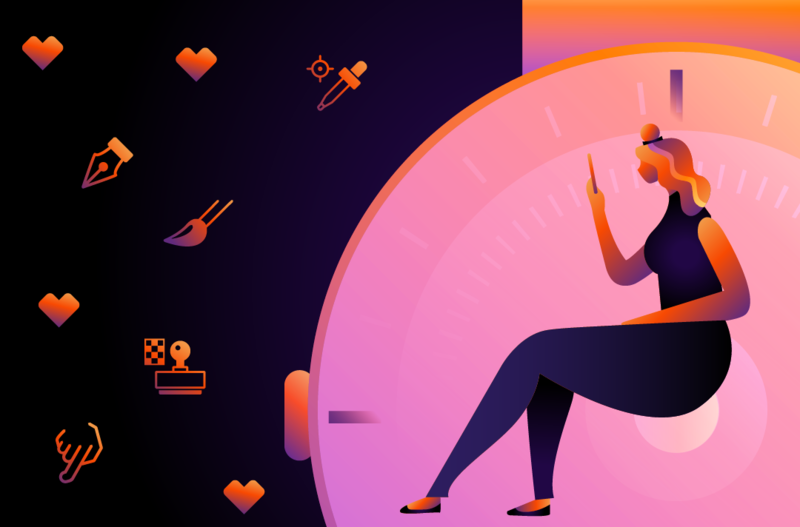 It’s about building momentum ahead of time, making a splash with a big reveal during the actual game, and then sustaining engagement through social conversation and ongoing social campaigns. 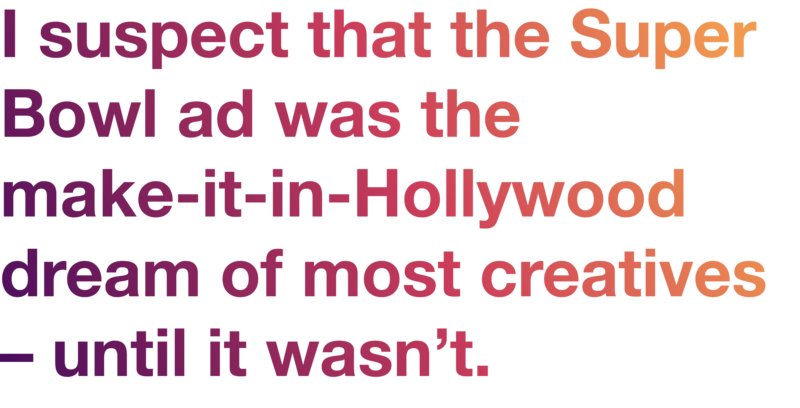 I suspect that the Super Bowl ad was the make-it-in-Hollywood dream of most creatives – until it wasn’t. That was before we understood just how differentiated and nuanced the creative industry could be, and the ways our work could have impact. A TV ad can be culturally relevant, but it’s rarely the type of creative that brings meaning or usefulness to peoples’ lives. I foresee brands creating more multi-screen moments, organically extending their 15- or 30-second spot as audiences engage their phones. If automated triggers like Shazam or scanned codes make for a flawless and immediate switchover, the interaction can be two-way: influencing dynamic TV creative like real-time polls / votes, or narrative moments a la Bandersnatch. The first time I became aware of the Super Bowl as the stage for breakthrough creative was because of the Budweiser frogs, way back when I was in college. The ad was so out of left field that it was impossible to ignore. Much has changed in the years since, and though there has been a lot of great creative in that time, nothing has quite struck a chord with me the way those frogs did. Because I didn’t enter the industry as a ‘traditional’ creative, the Super Bowl really didn’t mean much to me. Typically, digital creatives weren’t allowed anywhere near TV. Of course, it was still great to see the inventive ad and I’d certainly watch the game with friends, but I could have cared less about the game itself, personally. The Super Bowl Spot isn’t really about the Super Bowl anymore. It’s about YouTube, Snapchat, Instagram, WhatsApp, Twitter, etc. I used to tune in to see the commercials, but now, there isn’t much of a need. The viewership of the game, is okay. That’s the metric that marketers have used for who knows how long. But what I’m more interested in knowing is where was it shared, how many times was it shared, and how many views per platform, and the comments…yes, the dreaded comments. How well an ad fits into the ethos can be partially examined by the rhetoric surrounding it. The other shift is what’s considered a Super Bowl “spot.” The Oreo blackout tweet is a great example of this. And Snapchat filters, like Gatorade Dunk. The future of Super Bowl Ads is using AR to create a more immersive ad. Possibly having ads that are only released when you are in a group video chat of some kind. This stuff could be triggered by the sound the ad makes or a filter that interacts with everyone at once. There are of course UX issues about how the user gets to the site (WebVR) or gets an app and would they want to, but that’s beside the point. As a kid (even before I had any idea what I wanted to do when I grew up), I was never into football, but always loved watching and being entertained by the commercials. In college, studying advertising & design, watching became more aspirational. The biggest difference now is that watching live to see the commercials isn’t quite as exciting as it used to be since so many of them are available on YouTube before they air during the Super Bowl. Digital opens up a world of possibilities beyond just a TV spot, with supporting second screen content, social media to create hype, gamification / AR… we have more opportunities for creativity for sure. Moving the needle for inclusivity one meeting at a time. Jenessa Carder explores the Super Bowl as a collective experience. Who would've predicted that the physical space that your brand takes up could be up for grabs to competitors?